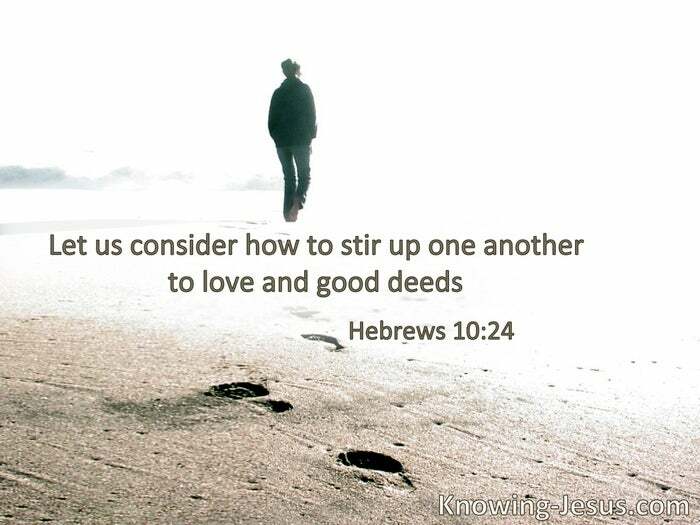 Let us consider one another in orderto stir up love and good works. How forceful are right words! § I stir up your pure minds by way of reminder. Those who feared the Lord spoke to one another, and the Lord listened and heard them; so a book of remembrance was written before Him for those who fear the Lord and who meditate on His name. 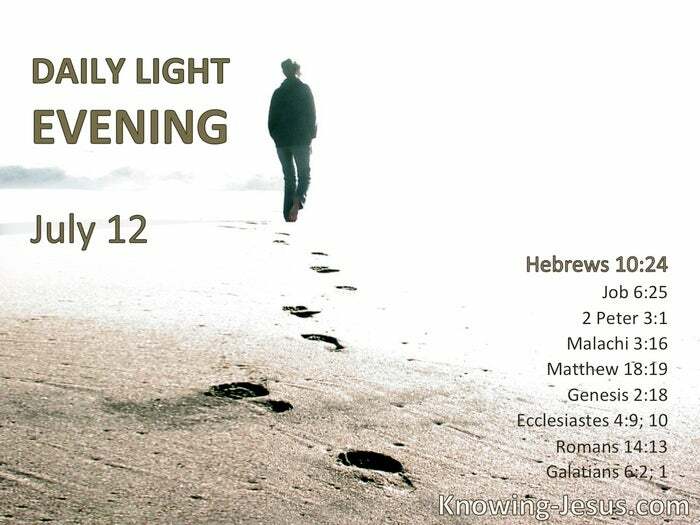 § If two of you agree on earth concerning anything that they ask, it will be done for them by My Father in heaven. The Lord God said, “It is not good that man should be alone.” § Two are better than one, because they have a good reward for their labor. For if they fall, one will lift up his companion. But woe to him who is alone when he falls, for he has no one to help him up. Let us not … put a stumbling block or a cause to fall in our brother’s way. § Bear one another’s burdens, and so fulfill the law of Christ … [Consider] yourself lest you also be tempted.